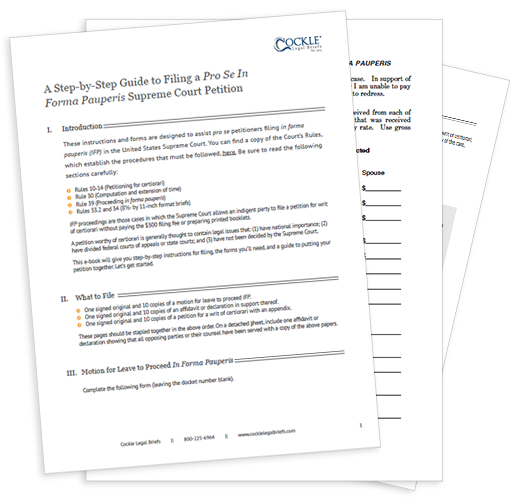 These instructions and forms are designed to assist pro se petitioners filing in forma pauperis (IFP) in the United States Supreme Court. IFP proceedings are those cases in which the Supreme Court allows an indigent party to file a petition for writ of certiorari without paying the $300 filing fee or preparing printed booklets. This e-book will give you step-by-step instructions for filing, the forms you’ll need, and a guide to putting your petition together. Fill out the form to download now!